Getting over the counter (OTC) drugs in Japan can be an expensive proposition. The Japanese drug market is heavily protected from foreign competition and large pharmacies and drug companies still have a cartel-like lock on the market, even after the liberalization of online drug sales. If you are looking to by in bulk it is actually sometimes cheaper to go to the doctor and get a prescription as prescription drugs are heavily price controlled. While it seems unlikely that you will be able to buy drugs in American quantities for American prices anytime soon (500 tablet pack of Advil, anyone? ), there are a few emerging bright spots in the market. One of the best hope for relatively cheaper drugs are so-called "off brand" or "private brand" medications. What is and off brand drug? Well its basically a medication that is chemically identical to a major brand name drug. As a matter of fact, it is often manufactured by the same company as the more pricey brand name version. 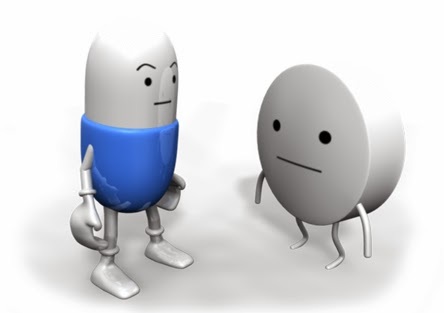 While the concept of generic, off brand drugs seem to be common in North America (think CVS or Walmart branded pharmaceuticals), the concept is relatively new in Japan thanks to drug patent laws, regulations, and manufacturers who jealously guard their turf. One of the biggest off brand drug labels is Hapycom (see above). This is a brand formed by a collective of large chain pharmacies including Welica, Tsuruha Drug, and Aeon. The drug lineup offered by Hapycom is slowly expanding and it includes everything from disinfectant to cold medication. In my experience, I have found Hapycom to be on average 300-500 yen cheaper than the equivalent brand name product. 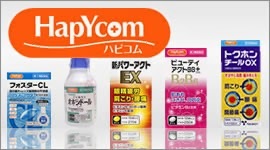 Japan's biggest pharmacy chain, Matsumoto Kyoshi, does not participate in the Hapycom consortium. However, the company has been slowly expanding its own line up of "MK Consumer" branded medication. This includes everything from anti-nausea pills to cold medicine. Some customers of medication may be worried about the quality of non-brand name good. However, pharmaceutical laws in Japan require the original manufacturer to be clearly labeled on the inside and outer packaging so it is extremely easy to tell which drug company makes what generic OTC medicine.